The National Health and Medical Research Council (NHMRC) is working to reduce the grant application and assessment related burden on the health and medical research community. 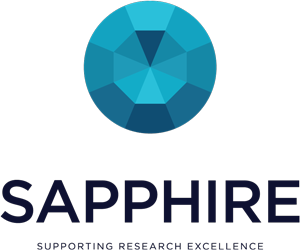 To progress this commitment and address the ageing technology of the current Research Grants Management System (RGMS), NHMRC is in the process of developing a new grants management solution, Sapphire, for supporting research excellence. NHMRC is committed to delivering a grants management solution that meets the needs and expectations of the research community. While we continue to develop Sapphire for a smooth transition, all new and existing grant programs will be managed through RGMS. This includes, but is not limited to, Centres for Research Excellence, Development Grants, Targeted Calls for Research and Investigator Grants. We will keep you informed on the timing and approach of Sapphire’s release. The advanced capabilities of Sapphire provide us flexibility in the release of grant activities (such as application forms, assignment of panels, application assessment and other processes). This means we can bring forward new and enhanced functionality in a step-by-step way that best supports the research community, with the end goal being all grant activities and existing funding arrangements transitioning into Sapphire. As we transition to Sapphire, NHMRC will transfer your data and information from RGMS. We will provide you early notification of any planned data migration activities along with instructions on any actions you may need to take. Resources will be made available to assist in navigating Sapphire, including user guides and how-to videos. These will be made available as Sapphire is released.